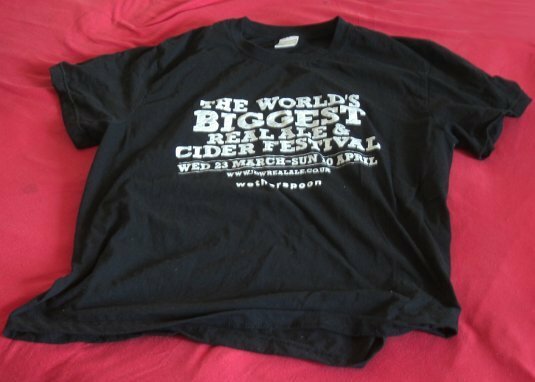 I attended the Wetherspoon 2011 Spring Real Ale Festival at various JDW pubs in West London recently. The Festival, which ran 23 March to 10 April 2011, featured 50 real ales and 10 ciders. Some of the ales were new and brewed exclusively for the festival, [exclusive] below, whilst a few were by international brewers but specially brewed in the UK [international special], to complement the imported beers [international]. A few others were resurrection ales brewed for the festival [resurrection] – in other words beers that have not been produced for some time. Full details are given in the festival tasting notes [3.7MB PDF]. I went to the world’s largest international real ale festival – in Acton!